Wildlife conservationists say the trafficking of the birds in Cameroon has grown into an organized crime involving powerful politicians. Grey parrots are found only in the rainforests of West and Central Africa, but they’re prized as pets in countries around the world. People are captivated by their beautiful colors, gentle nature and ability to mimic humans. But demand for the birds could be threatening their very existence. The Worldwide Fund for Nature (WWF) estimates that 450,000 of the birds were captured and exported from Africa between 1994 and 2003. The number would be even higher if it included illegal exports. Seeing the danger of extinction, many countries in Europe, North America and Africa have banned trade in grey parrots. 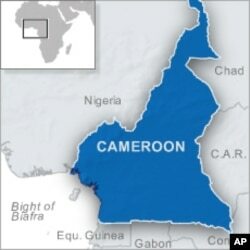 Cameroon issued a ban three years ago. But conservationists say the measures have failed to reduce the trade. Illegal operations have continued and have even increased. Ofir Drori is the director of LAGA, a wildlife law enforcement group that’s helping the government of Cameroon. He says despite the ban, at least 1,000 parrots are exported from Cameroon every month. Traffickers go through the Gulf of Aden. By moving the birds from one country to the other, the traffickers can eventually get them to Europe and the United States and designate them as locally bred. "Trafficking in African grey parrots has become an organized crime," says Drori. "It is a very, very lucrative trade. The margin of illegal revenue from trade in this species is very high, sometimes more than trade in ivory, which has a better international profile. "Imagine something that is more lucrative than trafficking in drugs. It interests very high officials and very sophisticated criminals." Drori says it’s hard to curb the trade because of high level corruption and lax enforcement, even in Western countries that have the resources to enforce the law. "When you are doing shipments that are very lucrative, dealing with huge amounts of money, you have very strong bribery power. There is a reason to assume that this power actually plays a role," says Drori. The number of African grey parrots remaining in the wild is not known. But Cameroon is already experiencing what’s called local extinction. Communities that used to have parrots on the outskirts of their towns say they no longer see them. In 2007, the International Union for Conservation of Nature (IUCN) reclassified grey parrots on its wildlife endangered list. Formerly they were designated a species of “low concern,” but now they’re in the category of “near threat,” giving them a status requiring more protection. The enforcement group LAGA has been working with the Cameroonian government for many to stop the illegal trade. At least nine people have been prosecuted for involvement in the illegal capture and trade in African grey parrots. But the problem persists. Drori says the failure of the judiciary to prosecute most of the accused has strengthened the hand of suspected traffickers. "A top government official," he says, "was removed from his post for involvement in trafficking but nothing was [done]. None of these people [who traffic parrots] are prosecuted [because of reluctance to take action against the powerful or influential]." The Internet could make things worse. More and more Cameroonians are advertising parrots online. Drori says some of the advertisements are scams but others are real and contribute to the exportation of grey parrots. "The illegal trade right now is only limited by the factor of the connection between demand and supply," says Drori. "We are afraid that the Internet has potential in connecting more of the demand with more of the supply. So right now, we are trying to check how the Internet is playing more and more of a role in the trade of endangered species and we are trying to catch it." He says at the moment they are investigating the use of the Internet in trafficking African grey parrots and how to stop the trade, or at least reduce it.